Intensity. 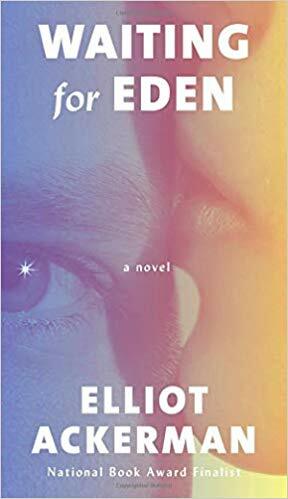 Readers who enjoy finely written literary fiction are those most likely to enjoy Elliot Ackerman’s novel titled, Waiting for Eden. Protagonist Eden survived an explosion in Iraq and is at a Texas burn center thanks to the efforts of medical personnel who saved his life. What’s left of Eden weighs 70 pounds, down from his normal 220. Eden’s distinction is that his were the worst wounds of the wars in Iraq and Afghanistan that didn’t immediately end in death. Eden’s wife Mary has spent three years at his bedside waiting for him to communicate, heal or die. The narrator is a ghost: Eden’s best friend who died in that blast in Iraq, who is also waiting for Eden to join him in death. These three characters are complex, and Ackerman develops them with depth. From the beginning to the end of the novel, Ackerman maintains an intensity while he develops multiple levels of meaning and explores issues of loyalty, suffering and betrayal. Rating: Five-star (I love it) Click here to purchase Waiting for Eden from amazon.com.